Ring buoys are Type IV PFDs. Among its other attractions, the Sunshine State is known for its many lakes and watercourses and its 1,350 miles of coastline, making it a boater's paradise. Unfortunately, Florida is also the national leader in boating fatalities. 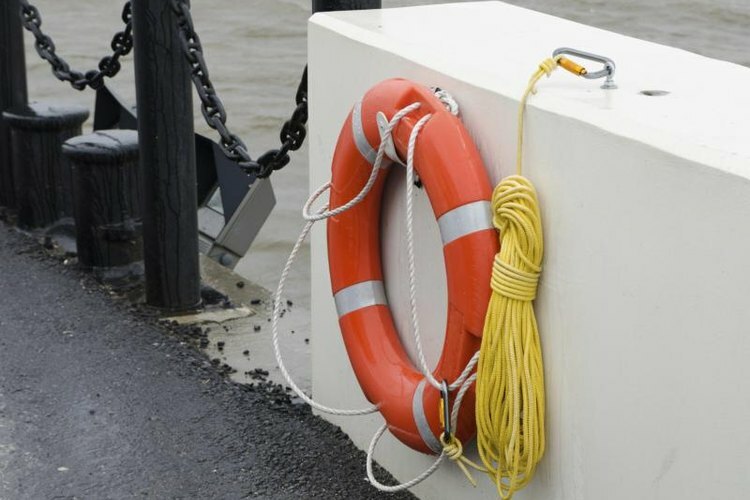 In an attempt to reduce the number of boating deaths, Florida law requires that all watercraft carry life jackets, also known as personal flotation devices, or PFDs, sufficient for all persons aboard; and mandates their use in certain situations. PFDs approved by the U.S. Coast Guard must be carried aboard all recreational watercraft in Florida. There must be one life jacket for every person on the boat. The PFDs must be the proper size for each passenger aboard, and must be in good condition and readily accessible. In addition, any vessel over 16 feet must also carry a Type IV PFD -- the doughnut-shaped device known as a life ring or ring buoy. All persons operating a personal watercraft such as a Jet Ski must wear a USCG-approved PFD. Children under the age of 6 must wear a Type I, II or III PFD at all times if they are on a vessel under 26 feet in length unless the boat is "anchored, moored, made fast to the shore, or aground." Outside of Florida state waters, children under the age of 13 are required to wear a PFD unless they are below deck or in an enclosed cabin, according to law firm Viles and Beckman, LLC. ClarisLaw.com: Who Is Required to Wear a Life Vest in Florida?